Richard Young is a third generation trial lawyer and a Reno native. 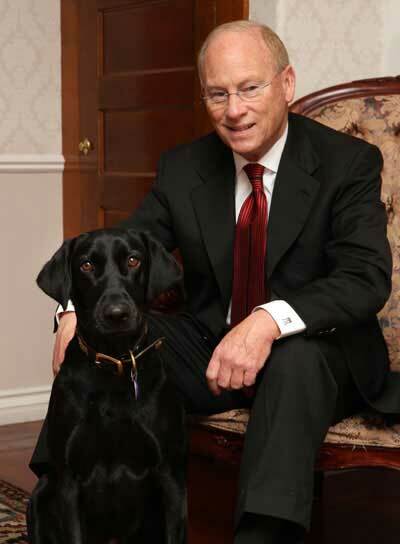 A board certified family law specialist and sophisticated criminal defense lawyer, Richard began practicing in 1974. He received his early legal training at the San Francisco law firm of Walkup & Downing, before establishing his practice in Reno. Richard received a Bachelor's Degree from the University of Nevada, Reno. He then served in the U.S. Marine Corps before earning his law degree from the University of California, Hastings College of the Law, in 1974. Following 9/11, Richard returned to military service as a JAG lawyer from 2002 through 2005. An author of numerous publications he is highly respected by members of the Nevada bench and bar. In the words of a prominent retired District Judge, "This attorney is among the top five lawyers in the State of Nevada. He is smart, articulate in both spoken and written word and he has great integrity. He knows when to play softball and when to play hardball..."
Richard is AV rated by the nationally recognized legal rating firm, Martindale-Hubbell. This rating, the highest, is reserved for attorneys whose legal skills are judged to be pre-eminent and whose ethical standards are "very high." Richard has been listed in the "Best Lawyers in America" for more than 20 years. He has also been named "A Mountain State Super Lawyer" by Super Lawyers for more than five years. Richard was a Fellow of the American Academy of Matrimonial Lawyers from 1993-2015. He is admitted to practice in Nevada, California, the Federal District Courts of Nevada and Eastern District of California and the U.S. Ninth Circuit Court of Appeals. His criminal defense practice has taken him to the States of Nevada, California, Oregon, Washington and as far east as New Orleans, Louisiana, where he defended a multi-count federal drug trafficking case with ties to Colombia, South America. In addition to the many jury trials in State and Federal courts, he has personally prepared appellate briefs and argued to the Supreme Courts of Nevada and Oregon, the District Court of Appeal in California, and the U.S. Ninth Circuit Court of Appeals. During such time, dozens of his cases have been precedent setting, published cases. Outside the office, Richard is an avid hunter, fisherman and rice farmer.